Opening the pod bay doors on this week’s Failed Critics Podcast and simultaneously rescuing us from the brink of disaster is our special guest, Matt Lambourne. There’s still a main review which sees the team discuss Alex Garland’s directorial debut, Ex Machina; the story of a potentially sentient machine called Ava who is the subject of a Turing test. In honour of which, the trio have resurrected the ‘triple bill’ segment to discuss three of the most interesting uses of A.I. in film that they could each think of. 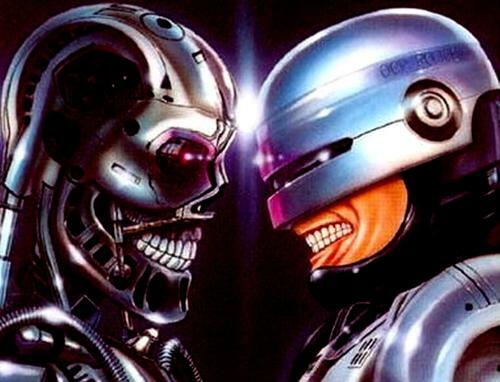 Steve had to be on top form to prevent the podcast from turning into a playground RoboCop vs Terminator debate for the next 60 minutes! Join us again next week as things get back to normal with Callum guesting on the podcast for reviews of Kingsman: The Secret Service and Big Hero 6. Previous PostA.I. In FilmNext PostOwen’s 2015 In Film: Part 1 – Janur-hi-YAH!